1. What inspired you to start the Wave Rider Surf Villa? 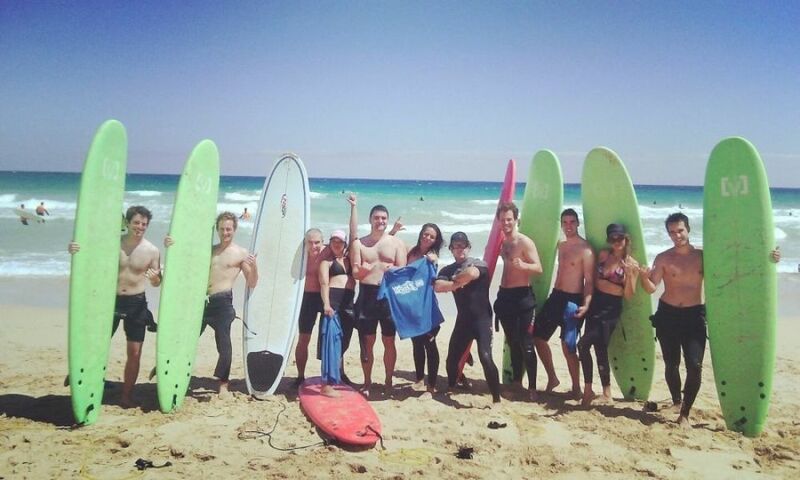 We opened our first Surf Camp in early 2013. Back then there wasn’t many surf camps/hostels around Corralejo. 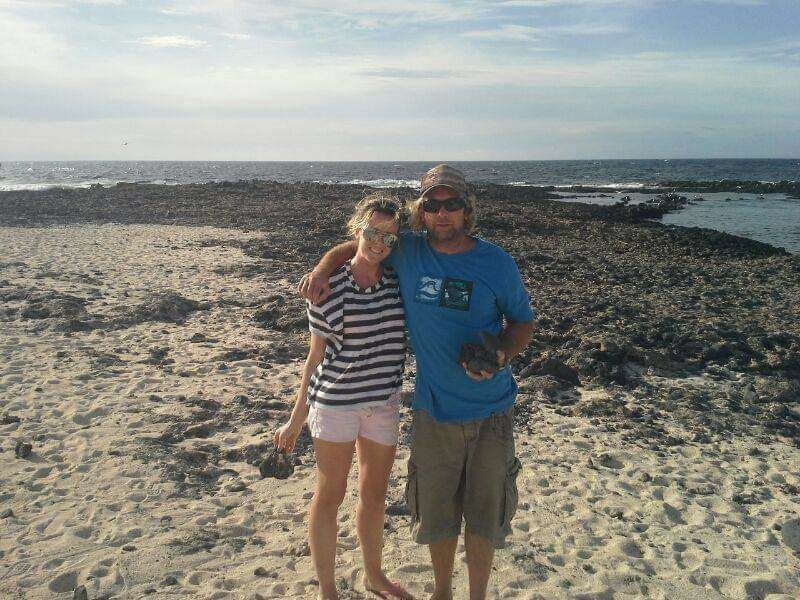 Nathan and I agreed that having the full surf & accommodation package would make it easier for our guests to plan their trip. 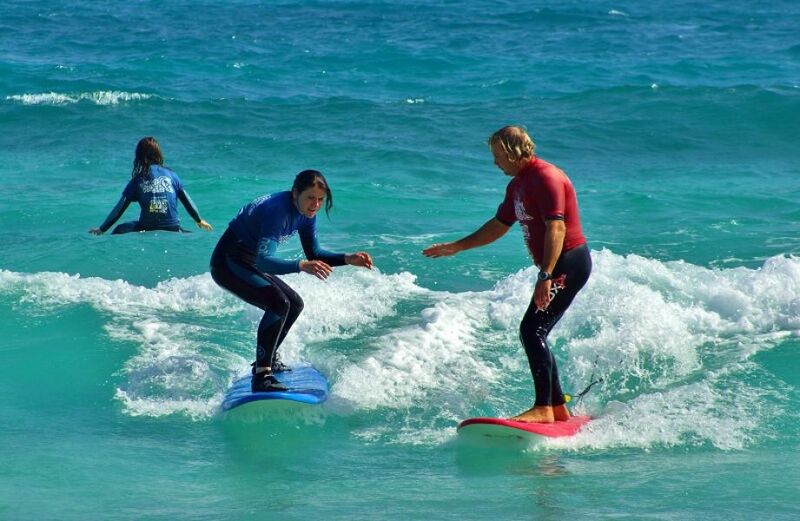 Nathan takes care of the surfing side while I (Chloe) manage the bookings. 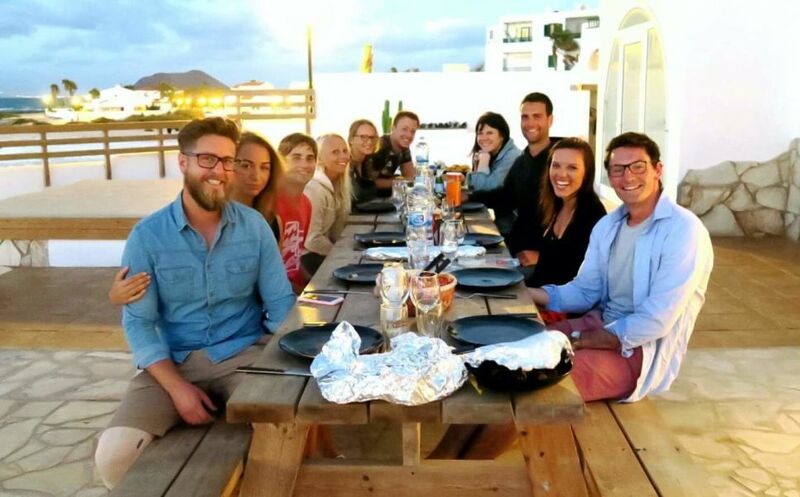 Having a surf villa means that we can hang out more with our guests, plan BBQ nights and offer yoga at the villa. It was hard to do this when our guests were scattered all over the town. Most of our guests are solo travellers so this means they can all hang out together. It makes us so happy to watch friendships (and the occasional relationship) grow over the weeks. 2. Who are the people behind Wave Rider? Nathan, who is from Hertfordshire (he likes to call himself the boss. Technically he is, but he is up against two girls here :) Chloe is from Ireland and our amazing breakfast chef and all round villa legend Jamie... who is also from Ireland! 3. How did you get into Surfing? 4. What is unique about your Villa? What makes our villa unique is the location and good old fashioned hospitality. 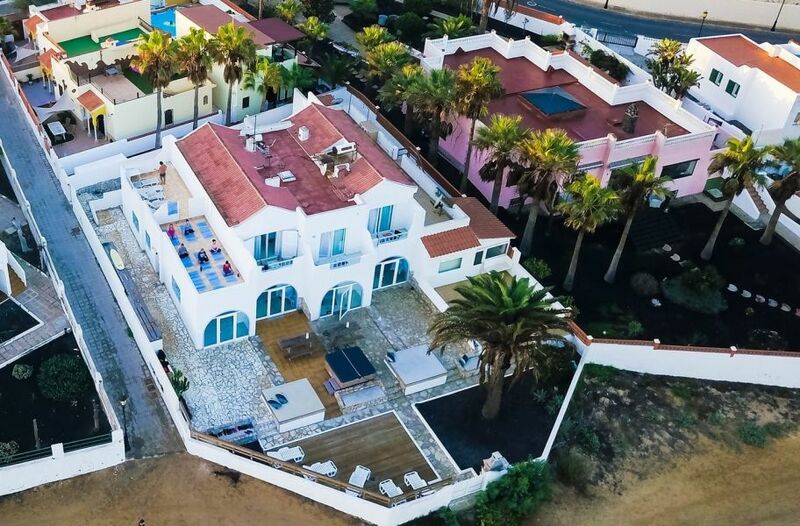 Our Villa is literally right on the beach front in Corralejo. Our guests can escape the stress of city life and come and relax and recharge. There is something for everyone in Corralejo, which is a sleepy little fishing town north of Fuerteventura. There is also a reef break just a minute walk from the villa – no transfers necessary. We have been told by some of our guests that when they return to our villa, they feel like they are “coming home.” Hearing things like this make us so happy! 5. What is your favourite wave in the world and why? 6. What one destination would you like to go to surf? 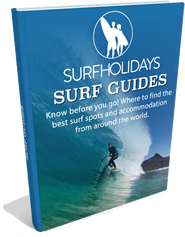 Pic: Surfholidays in Bali. 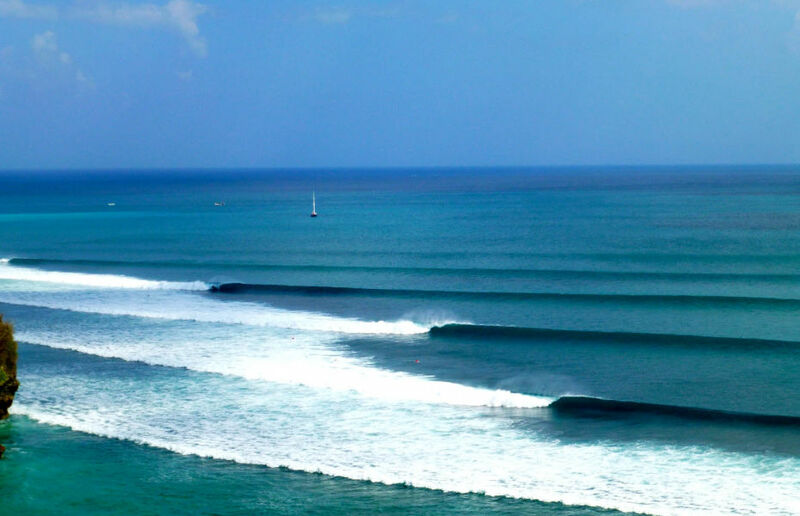 Ulawatu wave. 7. What is a typical day at the Wave Rider Surf Villa? Jamie is the fist to arrive at the villa for 7.45am and she starts preparing breakfast. Some of our early risers get up at this time to check out the sun rise and either practise some yoga on the decking, take a little stroll onto the beach with a coffee or head off on a morning run to the sand dunes. When everyone has come back to the villa they eat some lunch, take a dip in the hot tub and lounge around in the sunshine (sounds stressful, right? ; ) Others might pack in an afternoon excursion or even surf some more if their shoulders allow it. Once its 4pm they take a little stroll across popcorn beach to Sunset Lounge for Happy Hour...This place does a mean mojito! 8. Funniest guest or surf story? There are too many to choose from!! Snapped boards, falling asleep at the kitchen table after a heavy night or 3am in the hot tub. What happens at Wave Rider, stays at Wave Rider! 1. There is a volcano in Lajares called CALDERON HONDO. You will need a car to get here. There is a hiking path and it takes about 90 minutes at normal pace. You can make the hike as easy or as hard as you like. Once you reach the top you can stand and look right down into the crater of the volcano. Get your hiking boots on and do it! 2. Ebike tours – power up and pedal effortlessly on your electric bike. Glide through the paths & bike trails as the canary islands landscape & tropical climate flow around you. A must do and recommended by all of our guests. 3. A boat trip to Los Lobos. You can set sail on a huge catamaran which includes kayaking, snorkelling, Stand Up Paddle Boarding and a swim in the lagoons! Sip cava and sunbath on this 4 hour excursion which goes from the harbour in Corralejo.